Amazon will start offering one- and two-hour delivery of Whole Foods groceries to Prime members in the Seattle area and eight other markets. Amazon on Wednesday will start offering quick grocery delivery from Whole Foods Market stores in the Seattle area, the latest extension of Amazon’s effort to link the organic grocer it bought last year into its broader e-commerce operations. The one- and two-hour delivery service, available to members of Amazon’s $119-a-year Prime membership program, will also operate from stores on the Eastside and near Tacoma. Including the eight other U.S. cities Amazon is adding Wednesday, the company has turned Whole Foods Market stores into depots for quick Prime Now delivery in 38 markets since launching the program in February. After an order comes in, Whole Foods employees pick items from store shelves before handing them off to drivers who pick up delivery shifts under Amazon’s Flex on-demand program. Amazon has spent much of the last year integrating the organic grocer, which it acquired in August 2017 for $13.5 billion, into its broader operations. 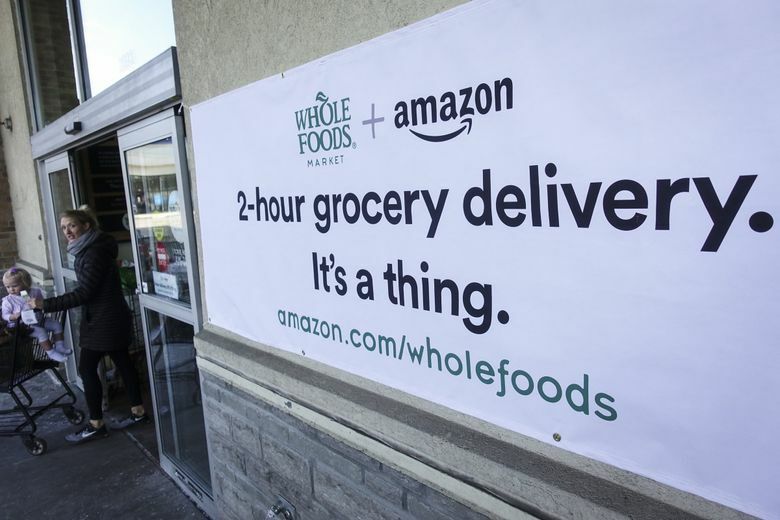 The addition of the 470 Whole Foods stores gave the Seattle company a brick-and-mortar presence it previously lacked, providing a platform to experiment with consumers’ appetite for getting their groceries delivered, or plugging into other Amazon services while they shop. Amazon has also added hundreds of delivery lockers to Whole Foods stores, made Prime the grocer’s default rewards program, and started carrying Whole Foods’ house brands on Amazon’s retail websites. Last month, the company added in-store pickup of online Whole Foods orders in Sacramento, Calif., and Virginia Beach, Va.